Home » News » Should Arsenal sell Olivier Giroud? Olivier Giroud has been a divisive figure at the Emirates pretty much ever since he made his league debut for Arsenal. In that game, he had a great chance to score the winner for Arsenal but ended up missing a sitter. Some people complimented his smart movement to get into that position in the first place, whereas others questioned if he had good enough finishing ability for a top-level side. It turns this sort of difference in opinion about his performance would follow Giroud throughout his entire time at Arsenal thus far. As we’re five years on from that game and there still hasn’t been a unified decision on how good Giroud actually is. They’re a large amount of people who say that Giroud is not good enough for a team like Arsenal but then there is also a similar amount of people who say that he is vastly underrated. This divisive talk has been stronger recently after a difficult season for the Frenchman where he spent most of it on the bench for Arsenal. This has led to a lot of talk of Giroud leaving Arsenal this summer in the search for regular first team football with a possible move to West Ham or a return to France being talked about. However, should Arsenal let their number 12 go? Why Giroud gets those mixed responses has a lot to do with his goal tally. A true world class forward is expected to get at least 20 goals in the league almost every season. A feat which Giroud has yet to do at Arsenal with his best goal scoring seasons being the 2015 – 2016 season and the 2013 – 2014 season where he scored 16 goals in both of those respective years. However, in defence of Giroud he has been fairly consistent, even if it’s at a less than worlds class level as he has scored over 10 Premier League goals in every season he’s played for the gunners. A problem that Giroud has is he tends to score his goals in streaks meaning he could go on a great run of form scoring every week then go on a barren run of 15 games without a goal. This may be why the opinion on him is so mixed as his supporters get very vocal about him in his great runs of form, but his detractors start to find their voice when he’s struggling. He also had the issue of coming to Arsenal to try and replace Robin Van Persie who had just come off a 30-goal season for the Gunners. If Giroud had come in as a replacement to a struggling striker instead he would’ve been more appreciated. A striker is mostly judged on their ability to score goals (and rightfully so) but for Giroud it means that a lot of the other things he does for the team goes unnoticed, such as how many times he clears the ball when defending a set piece or the countless passing moves he’s involved in that end up leading to goals. These things help his team to win games, but they don’t help his goal scoring statistics, which are the things people remember. 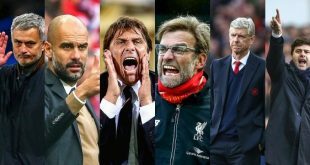 Before deciding if Arsenal should sell Giroud we should look at the current crop of strikers to see if Arsenal still need Giroud. During the first half of the season the Frenchman lost his place in the line-up because Alexis Sanchez started to play as a striker and went on a great run of form. Alexis is a lot more dynamic than Giroud and even though Giroud is superior in the air Sanchez is still a better a player and will get more goals than the Frenchman from that position. However, Alexis doesn’t need to play up front to score goals as he scored plenty from the wing position. So, if both Giroud and Alexis stay at Arsenal for next season they could easily play in the same line up. The other player who kept Giroud out of the team towards the end of the season was Danny Welbeck. Welbeck receives some of the same criticism as Giroud as people claim he’s not clinical enough in front of goal. Even though that’s true, he does have other qualities such as an incredible work rate and stamina and when it’s mixed with his great pace he can cause defenders all sorts of problems. A quality that Welbeck shares with Giroud that no other current striker at Arsenal has is a strong ability in the air. This can be key for a team like Arsenal because when they play against teams that sit back, it can be hard to pass through them so they need a player who can get on the end on any balls that are crossed into the box. Welbeck is not quite the same presence in the air as Giroud but if Arsenal do sell Olivier, Welbeck would be a good option for when they require an aerial threat. The other senior strikers Arsenal have at the moment are Lucas Perez and Yaya Sanogo. Lucas Perez didn’t play enough football last season so it’s hard to judge him as an Arsenal player also he’s probably more likely to leave Arsenal than Giroud is. As for Sanogo there has never been any evidence to suggest that he is anywhere near good enough to replace Giroud. So, looking at the current strikers for Arsenal Sanchez or Welbeck could easily take his place in the lineup, but they would lack quality depth if they sold Giroud so they’d have to bring another striker in. 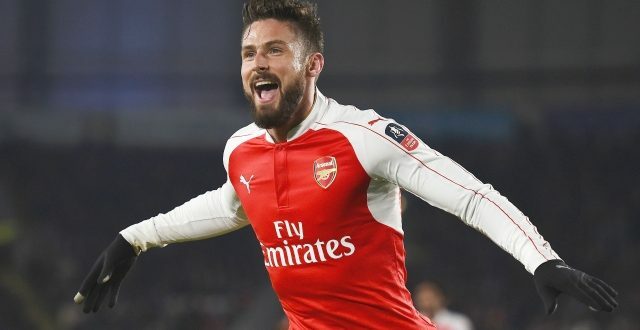 Speaking of bringing someone in, Arsenal are getting linked with plenty of strikers in this transfer window as they seem to always do, but with Giroud’s future uncertain it seems more than likely they’ll sign one this season. One striker they’re being linked heavily with at the moment is Lyon’s Alexandre Lacazette. Lacazette has been a highly rated striker for a good few years now, but so far, he has stayed loyal to Lyon even though they have struggled to be a force in French or European football. It’s obvious why Arsenal would be interested in Lacazette as he managed to score 28 Ligue 1 goals last season in only 30 games (and two of those games were substitute appearances). He’s a fantastic finisher, good dribbler and he has the pace that Giroud lacks, the issue for Arsenal could be his price as he will not be cheap as he has had a great season and is still only 26. Arsenal might have to offer Lyon Giroud in a swap deal as well as a decent sum of money to be able bring Lacazette to the Emirates. However, If Lacazette can adapt quickly to the Premier League he’ll be worth it and he’d be an improvement over Giroud. Another French attacker that Arsenal are linked to is the same player it seems everyone is linked to and that is Kylian Mbappe. He’s one of the most talked about young players in the world after coming off an incredible season at Monaco where he won a league title and got to a Champions League Semi Final. As soon as he started to pick up steam for Monaco, Arsenal fans were demanding their team to consider him. This could be because of his style of play where he comes in from the left side and uses his speed and dribbling ability to go past players and score, which is very reminiscent of the Arsenal legend Thierry Henry (who also played for Monaco in his youth). He’s still relatively inexperienced at the top level as he only broke into the Monaco starting eleven this season just gone, however he has shown enough raw ability to take a chance on. Mbappe could be an improvement over Giroud but it would be hard for Arsenal to sign him with all the big teams going in for the young French international. Giroud has been one of Arsenal’s most underrated players ever as every season he’s managed to make an impact for the Gunners whether its scoring in the North London derby, getting a goal against Bayern Munich or getting an assist in the F.A Cup final. He’s been very important for Arsenal during his time there and that should never be forgotten. However, Arsenal want to win the league and Giroud could play a part in that as a squad player but he wants to be a starter and I firmly believe Arsenal can’t win the League with Giroud as their first choice striker. So as long as Arsenal are willing to go out and buy a world class replacement, then the Gunners should say goodbye to the top class but not world class Olivier Giroud.